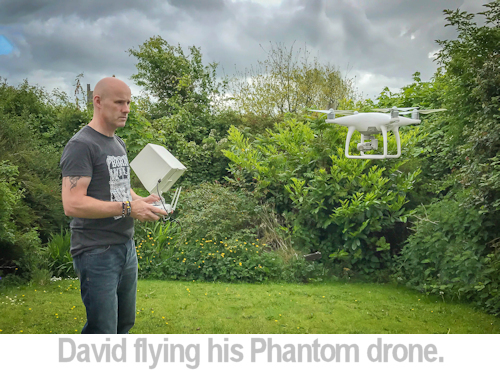 Business Insight - David Cantwell - Drone Training for Commercial Flight. It's not difficult to see the attraction of using a drone to shoot photographs and for filming. They have the capacity to quite easily produce some stunning imagery almost immediately out of the box and as prices have dropped their popularity has unsurprisingly sky-rocketed. Most drone flights are by amateurs, undertaken without any training and despite the ease with which they can be flown, there is a lot of potential for injury and damage and unfortunately there are many examples of just this happening around the World. Obviously the desire to use drones to produce this amazing aerial work is very tempting for creatives but to use them for commercial purposes means flights have to be undertaken by trained pilots who are licenced by civil aviation authorities. 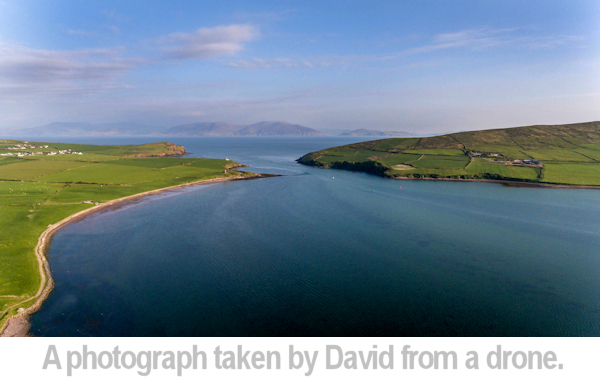 In our interview commercial photographer and filmmaker David Cantwell tells us about his experience of becoming a qualified pilot. Tell us about your commercial practice. 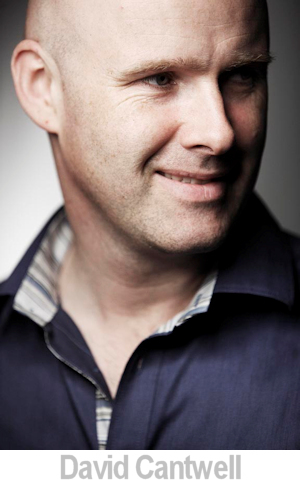 I'm a commercial photographer based in Dublin, shooting hotels, interiors, food and corporate portraiture. Our clients vary from the legal profession, accountant firms, food sector and manufacturing. All mainly business-to-business. What’s the attraction of drone flying for you? I first wanted a drone as a bit of a toy. I'm a gadget freak so this was the new thing I wanted to play with. When I looked into the many types of drones on the market I couldn't believe how many there were and vast difference in quality, spec and price. Some time went by before I did decide to make a purchase and this was prompted by a client of mine that I already do stills and video for. He wanted to offer his clients this drone service. Naively at this stage I didn't know anything about training, licences or registering. I thought I was just going to make my purchase and then “the sky’s the limit”. I choose the Phantom 4 because of price, specification, reliability and comments online through social media and Youtube. I could have purchased online but I felt If I bought from a supplier here in Dublin, if I had any problems I could go back and talk face-to-face. Why did you decide to get training? When I went to the store I could see some literature about insurance and training. Regarding the training there was something about registration with the IAA. (Irish Aviation Authority). I asked the guy “Can I fly this any where? Can I fly this at any height? How fast will this thing go?" He preceded to tell me about everything that can go wrong with flying a drone, crashes, fly aways, injury to people and damaging property. This was something I had look into. I had a conversation with one of my clients about the licensing and registration and he was only informed that day that one of his clients were now insisting that all drone work was to be carried out only by registered insured and trained drone pilots because they were getting calls from the IAA about drone work that was on their site and who had shot it? In order to supply this as a service through my photography business I had to get trained, licensed and insured. This was going to be a substantial investment for something that started as a bit of fun so the last thing I wanted to do was put this thing in the sky and crash it because of inexperience. The first thing I did on the way home with my new drone was to drop into a toy store and buy a small cheap quad copter (drone with 4 propellers) It cost me €50 and I spent the next 2 weeks trying to fly it around my house without crashing it. Room to room, taking off and landing it on an A4 sheet of paper. This would be invaluable when I finally took my Phantom 4 to the skies. I signed up to a training course from a company called Flyryte. These guys would provide a full training course which at the end would enable me to register with IAA and I would then be able to apply for Specific Operating Permission (SOP). This is the very important bit with regards to using a drone for business. The SOP allows me to operate a drone for commercial work in any air space once prior permission is granted. On completion of the course I would also receive a Pilot Competency Certificate (PCC) which is required by the insurance company. What do you have to do on your exam? For the exam I met the instructor at a location on an early Sunday morning and set about a few tasks, flying to a specified distance, to show distance awareness and flying away turning off GPS and returning the drone to the takeoff position. To show absolute control of the drone under any conditions and I had to submit four scenarios in which I would be using the drone for commercial use and fill out the appropriate paperwork to the IAA. On completion of all this I am now a fully licensed, trained drone pilot. I would highly recommend training for anyone that's thinking of offering this as part of their business. The regulation of drone flight is only going to get tighter and tighter as more and more near misses and accidents happen with drones of every size. What are the benefits of being a qualified pilot? Once you’re licensed and insured, you’re separating yourself from the ordinary joe soap. Drone pilots are always kept up to date with changes in regulations so we will still be able to offer drone video and images to our customers. While still learning and being very cautious with my drone, it is great fun, you just get better and better operating the drone and it really is a great bit of kit. I'm now offering this great service and achieving some images that I would never have achieved before for my customers. How do you see for the future of commercial drone flight? I see the industry getting more and more regulated because of the dangers involved in drone flight. There are two types of drone Pilot, one who has crashed his drone and two, is going to crash his drone. Every drone will eventually come down, be it pilot error or mechanical error. If you’re trained, licensed and insured you're covering every eventuality, your skill in landing in the case of mechanical error and covering your company with insurance in the case of a crash. Would you recommend drone pilot training? Any situation in which you can expand your services as a photographer I would recommend. Learning new skills is always good. With drones there are so many more things to take into consideration that are outside the perimeters of photography. Get trained, Get licenced and get insured. All images are © David Cantwell and used with permission. We talk to Jason about his almost 25 year high-flying career specialising in aerial photography. Trainer Marc Blank-Settle tells us about how the BBC are using mobile journalism to report the news. Commercial photographer and filmmaker David Cantwell tells us about his career, how he started and what he does.